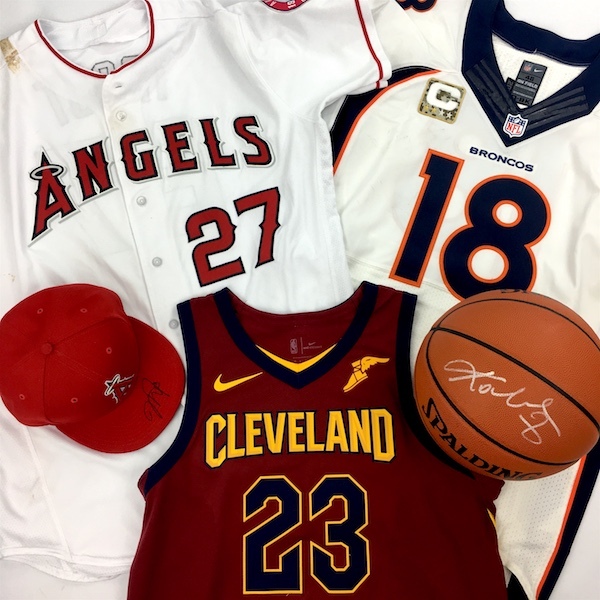 EPIC SPORTS LEGENDS AUCTION: March 16th - April 13th! REGISTER TO BID! Consign Game Used, Sports Cards, Rings, Fine Autographs and More!Email us pictures for more information at info@infiniteauctions.com. 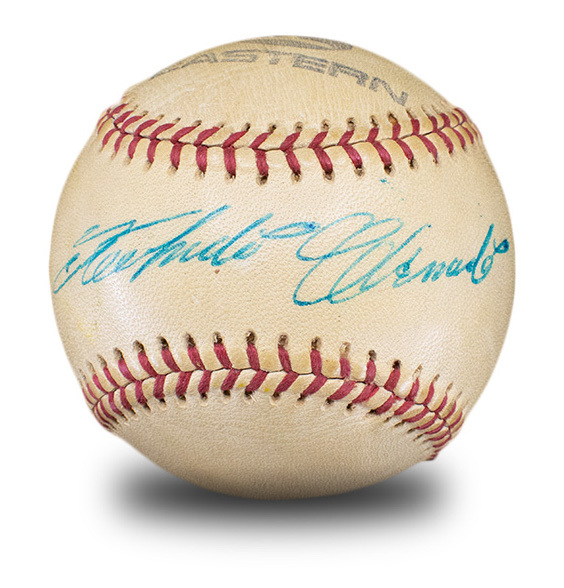 ROBERTO CLEMENTE SIGNED BASEBALL! ONE OF THE FINEST; PSA 9 SIGNATURE! 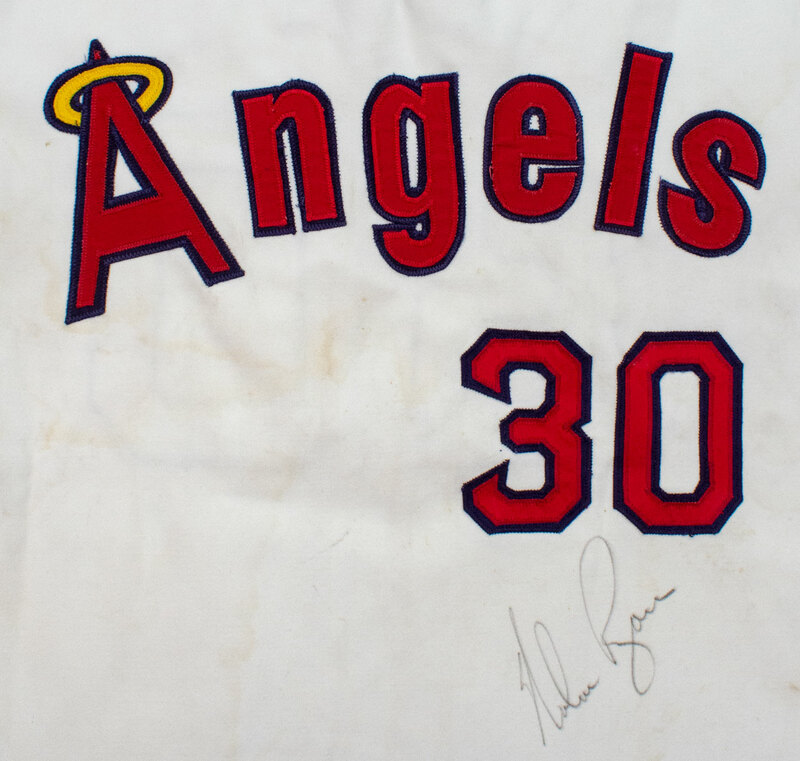 NOLAN RYAN 1974-75 ANGELS GAME WORN & SIGNED JERSEY! MEARS A9.5! 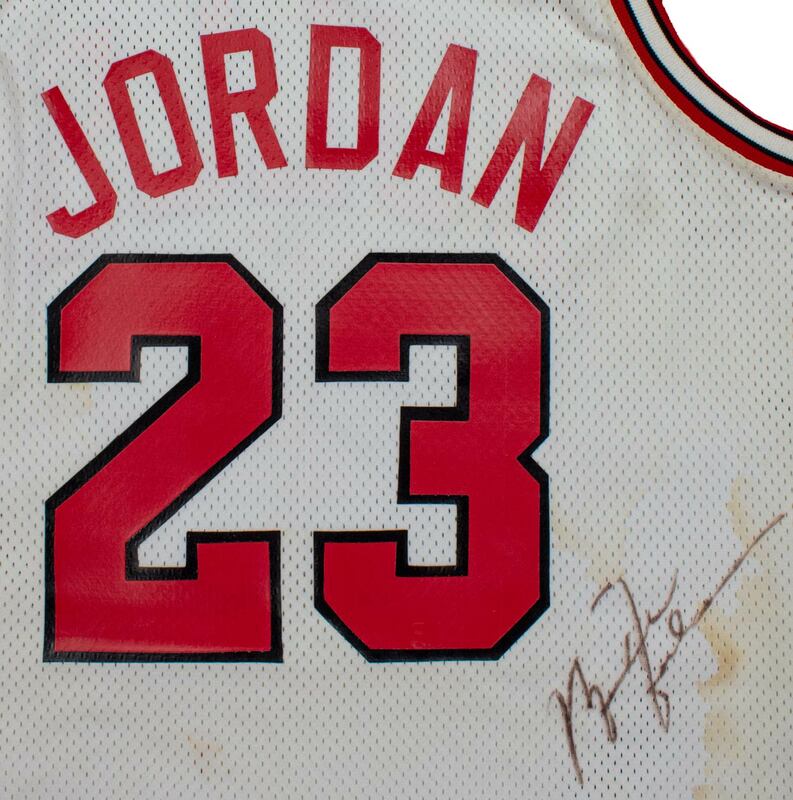 MICHAEL JORDAN 1990-91 BULLS GAME WORN & SIGNED JERSEY! INCREDIBLE WEAR! 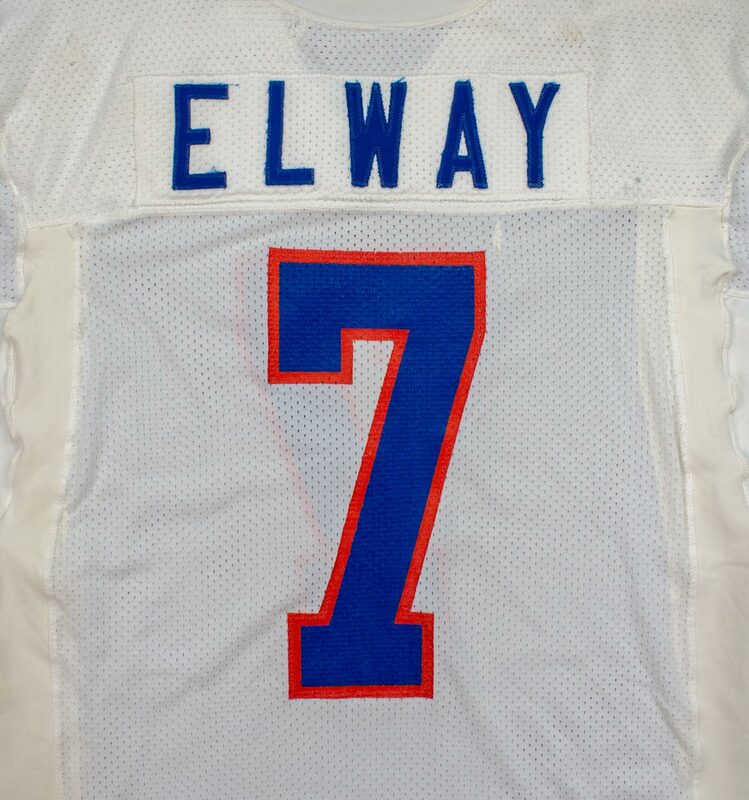 JOHN ELWAY PHOTO MATCHED 1988 BRONCOS GAME WORN JERSEY! Consignment Offers, Free Photo Matching Service and Store Updates. NO SELLER FEE! We add 20% to your ask price as our buyer's premium. No more guessing what your items are going to sell for at auction! We agree on a sell price that is within your item's current fair market value and your item will be uploaded into our store inventory within 1 business week. PLEASE NOTE THAT WE ARE ALWAYS BUYING PHOTO MATCHED GAME USED JERSEYS FROM SELECT PLAYERS. We are especially interested in Hall of Famers, Legends and Mega Stars. Amazing Photo Matched Memorabilia and More! 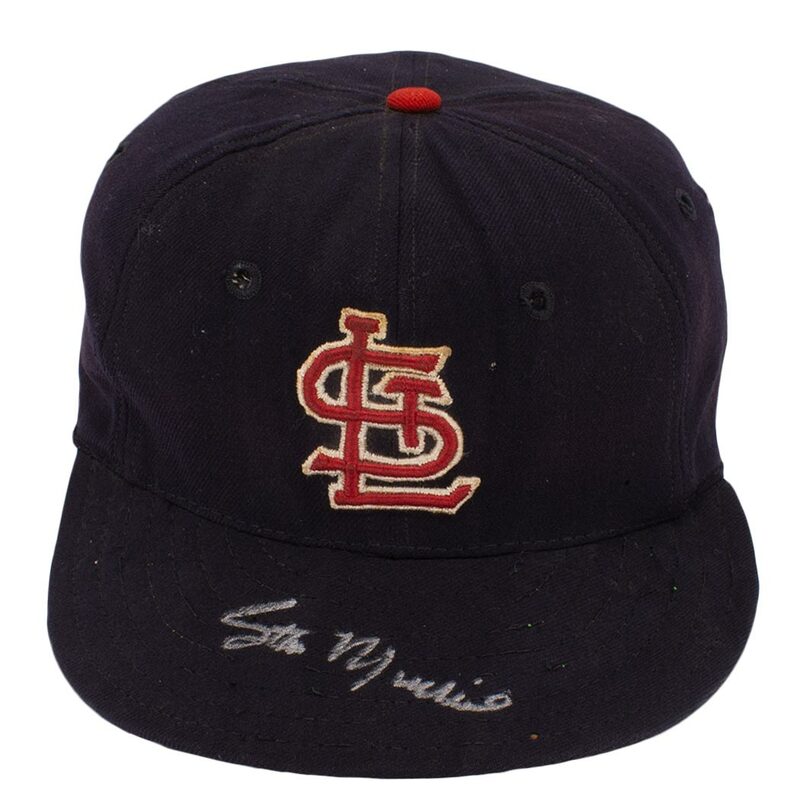 We are going to bring collectors a year round supply of amazingly rare sports memorabilia. Sellers can consign at anytime as we will be updating our store inventory on a weekly basis and our auctions will be on a bi-monthly schedule. We have made it our mission to give collectors the opportunity to enhance their collections with every auction that we offer. A photo match evaluation can cost as much as $3,500 per item. We are offering free photo match evaluations for items valued at $3,500 or more! 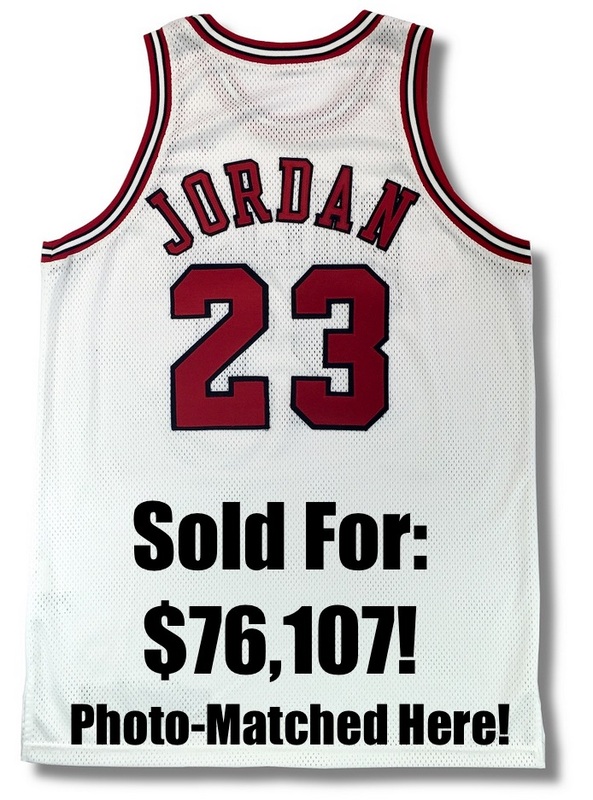 A Michael Jordan game used jersey without documentation is worth $5,000. The same jersey with a photo match is worth $75,000-$200,000! Consign Today!